*Authorized Dealer of GE & Monogram Appliances* Connecticut Appliance and Fireplace Distributors is your one stop shop for Quality Home Appliances, Fireplaces, Gas & Wood Burning Stoves, Hearth Product Accessories, and Outdoor Gas Grills. We are one of the largest appliance stores in Connecticut, and with over 10,000 sq. ft. of showroom space, we provide the best selection and the best prices. We have just completed a large out door living expansion for all your grilling needs. CAFD carries all of the leading brand name home appliances including: Asko, Bosch, Dacor, Electrolux, Frigidaire, GE Cafe, GE Monogram, GE Profile, KitchenAid, Maytag, SubZero, Viking, Whirlpool and Wolf. We are Connecticut’s exclusive distributor for the most popular fireplace brand, Heatilator, and we showcase the top names in hearth products such as Vermont Castings cast iron stoves and fireplaces, Majestic, Dutch West, Kozy Heat, Mendota, Regency, Napoleon pellet stoves and inserts, and Dimplex. CAFD also offers a variety of outdoor kitchen appliance brands. We carry the best gas grills, pellet grills, and grill accessories from the biggest names in the business, such as Lynx Series Grills, Weber Grills, Viking Outdoor, DCS, Alfresco, as well as Blaze Grills CAFD provides professional in-home delivery and installation services. Keith's Appliances is a family-owned discount Appliances store based in Norwich, CT. Since 1976, Keith's Appliances has served customers with low prices on Appliances products and top notch customer service. Our knowledge of the Appliances we sell sets us high above the competition. Keith's Appliances is an authorized dealer of such brands as Bosch, Electrolux, Frigidaire, General Electric, Jenn-Air, and more. We can help you select your new Appliances purchase at any budget. Yours Elegantly is reputed online shopping store of all type designer Tunics, shawl and evening wrap. We offer unique and the finest luxury women's clothes at very affordable price. You can get 50% to 70% off on branded products. All Parts was founded by Phil Cucurello in 1981. Phil's first shop was only 500 square feet, but he made sure it was stocked with the parts area service technicians needed most. In addition to selling parts, Phil also repaired appliances. He kept his prices low and treated each customer with fast, friendly service. Naturally, he quickly gained a loyal following. Even as competitors came and went, word kept spreading and his business kept growing! To accommodate the demand, Phil hired a few employees and moved to a larger building in 1985. The business kept growing and Phil kept hiring. Each member of the All Parts team is hand picked and trained by Phil but he made sure it was stocked with the parts THAT CONSUMERS AND service technicians needed most. All Parts expanded again in 1990 when we moved into our current facility, located on Route 1 in Orange Connecticut. M Beauty Studio is a well-known salon that provides the best service of Microblading CT. We are famous for outdo Microblading Eyebrows in CT. Moreover, Eyelash Extensions CT is also one of the best part of our services. Additionally, Microblading Training CT and Eyelash Training CT by our experienced professionals add the cherry on the cake. Fancy House LLC, construction company for all your exterior constructions needs. (Siding, Roofing, Windows, Gutters, Remodeling) Here at Fancy House LLC, we’re dedicated to giving you the very best of the quality possible, with a focus on reliability, customer service and efficiency. Founded in 2009 Fancy House LLC has come a long way from its beginnings in a house office in Bridgeport, CT to the full service exterior construction company serving CT, NY, MA, RI and ME states. Our mission is to perform for our customers the highest level of quality exterior construction services at fair and market competitive prices. We maintain the highest levels of professionalism, integrity, honesty and fairness in our relationships with our suppliers and customers. This all is what make us different. We hope you will enjoy our service as much as we enjoy offering it to you. S.K. 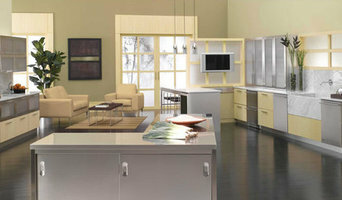 Lavery Appliance Company is a family-owned discount Appliances and Electronics store based in West Hartford, CT. Since 1928, S.K. Lavery Appliance Company has served customers in West Hartford, North Haven, Newington, Hamden, Simsbury, Chesire, Avon, Farmington, Glastonbury, New Haven and Orange with low prices on Appliances and Electronics products and top notch customer service. Our knowledge of the Appliances and Electronics we sell sets us high above the competition. S.K. Lavery Appliance Company is an authorized dealer of such brands as Bosch, Electrolux, Frigidaire, General Electric, Jenn-Air,and more. We can help you select your new Appliances and Electronics purchase at any budget. We look forward to seeing you at S.K. Lavery Appliance Company, serving West Hartford, North Haven, Newington, Hamden, Simsbury, Chesire, Avon, Farmington, Glastonbury, New Haven and Orange in Connecticut since 1928. Kenyon is an American manufacturer of stainless steel electric grills and electric cooktops both radiant and induction. These electric grills are the perfect fit for anywhere that gas and charcoal grills are unsafe for use like in apartments, condos and other multi-family dwellings. Lipper International is a leading wholesaler of a variety of products designed to improve your home and your lifestyle. From entertaining guests to organizing your kitchen, our products are recognized for their durability and beauty. Your Connecticut appliance professional might handle any or all of the following jobs: selling, installing, repairing and upgrading both small and large appliances. He or she can advise you on the right equipment for your Windsor, CT home, from features to finishes, and is usually in the know about the latest technological advances and bells and whistles. When appliances hit a snag or start to show their age, a pro can advise you whether to repair or replace them, then carry out his or her recommendation. Some appliance professionals work closely with Windsor, CT builders, remodeling contractors, and kitchen and bath designers, among others. Here are some related professionals and vendors to complement the work of appliances: Kitchen & Bath Fixtures, Kitchen & Bath Designers, Kitchen & Bath Remodelers, Specialty Contractors, General Contractors. Find an appliance professional on Houzz. 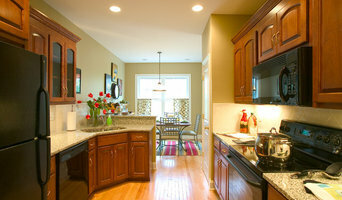 Narrow your search in the Professionals section of the website to Windsor, CT appliances. You can also look through Windsor, CT photos to find examples of rooms with appliances you like, then contact the professional who worked on them.